Constructed to supply water to the Voio area, the dam reaches a height of 57m with a reservoir capacity of 5.5 million m3. 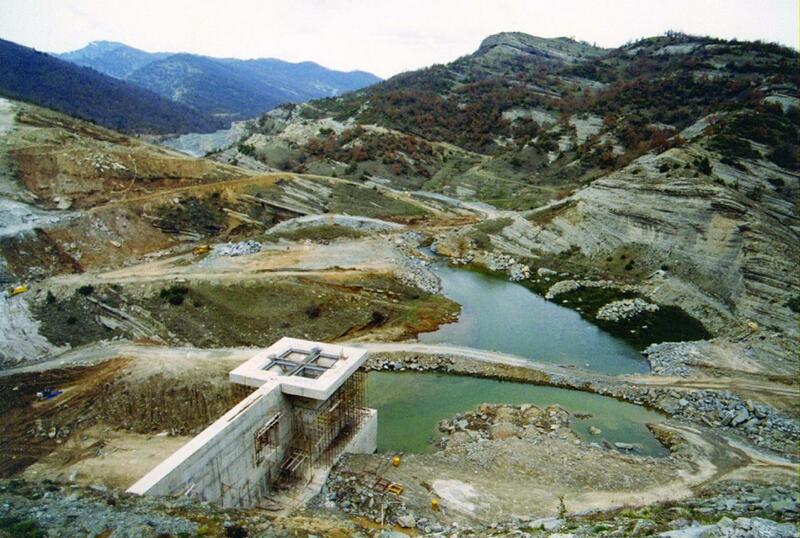 The construction of the dam itself was preceded by the construction of a diversion channel for the river. It includes a deep grout curtain, a drainage/grouting channel, a weir, an intake structure and a plunge basin. The water intake will be used for power generation by a IMW power plant.